This Coil Spring fits the rear of 1996-2002 Toyota 4 Runner 4x4 and 2 Wheel Drive. 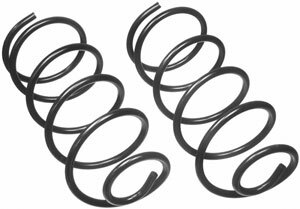 New Rear Coil Springs will improve handling and restore OE ride height and eliminate rear sag. Maintain a smooth stable ride with improved and high strength coil springs. Sold in pairs of 2 coils.